Any one hand-picked for a mission responsible for 2000 colonist, heading for distant planet Origae-6, would (in my mind) be highly trained Astronauts with strict protocols. Their responsibility is the welfare of colonist and not some rogue beacon on an unknown planet. Life-form or not, the DAVID android would make note-of-it, sending a electronic message back to earth through MUTHUR (MUTHUR is the Starship’s on-board main A.I. pronounced M-O-T-H-E-R). BUT – it’s a movie, meant to add precarious irrational decisions, causing complete havoc with no return. That’s what makes a movie exciting. See HERE for in-depth detail. It was indeed a life or death defining situation, where the whole world followed in their survival and safety back to earth from the moon. That said, it’s vital the storyline makes sense or it becomes a jumbling mismatch puzzle with incoherent timelines, making us viewers grasp for reality. Knowing all to well Ridley Scott is a master Director, it seems ludicrous he wouldn’t tell a good storyline. After a little research, it wasn’t long before I realized the editing process of cutting scenes from Alien Covenant, proved to be the culprit. Ridley Scott’s creativity was hacked by removing crucial scenes by the editors involved. As a director I would be biting my upper lip, as scenes were eliminated. Curiously, Ridley Scott still has full control of his movie. So why did he approve of the Covenant crew making so many mistakes? Is it just a Hollywood ploy, to make fans see AWAKENING in order to get all the answers? It would make more sense if android DAVID caused the INCIDENT, where he sent a deadly beam of energy disrupting the starships point-of-origin. It would be better then a random wave of CME ( Corona Mass Eruption) from a nearby star, as it happens in the movie. The scenes from that point would still hold true ; waking up the crew and killing their captain, due to a malfunction of his pod. In my mind, the burst of energy could have crippled the Starship to no return, causing it to crash on the planet where David is patiently waiting to carry out his deranged assault on the crew still alive. Crash landing on this planet would have made for a gripping terrifying scene. I love the fact Alien Covenant continues 10 years after my beloved movie Prometheus, so well executed by Ridley Scott. Personally watch Prometheus a dozen times to pick up eastereggs* I may have missed. To me I really don’t understand the backlash of Prometheus from fans. I realize the original ALIEN was basically a B-movie horror-slasher, but with its strong storyline and well executed ( pun intended ) actors, Alien did well at the box office. It was like this secret little gem waiting to be opened. That said, it’s my belief the fans of Alien, Aliens and so on, expect a horror slasher unconcerned about the science-fiction, the actual science and the clever plots Ridley Scott placed into Prometheus. It’s clear Ridley Scott caved to the wishes of its ALIEN fans, giving them the blood thirsty slasher ALIEN COVENANT. If I were Elizabeth, my trust in David would be nil. After fixing David and his ability to set course for Engineer’s HOMEWORLD using one of many alien Derelict spacecraft 🚀, I would immediately place David in stasis before doing the same myself. Any kind of tampering of my hyperbaric sleep chamber, would immediately set off an emergency alarm with instant release from stasis. So, in effect, Elizabeth would still be alive when Alien Covenant crew arrives, meaning a whole chain of events could take place. In conclusion, overall Alien Covenant seems to have gain support by the majority of fans, and in the end, that’s what really counts. 21st Century Fox covered the production budget cost of $97 million (reasonable, considering other scifi movies) making $238 million in sales. I’m sure Ridley Scott was relieved he hit the mark for fans and certainly Fox must be pleased too. As a long time fan of the Alien Trilogy, can’t wait to see the release of Alien: Covenant sequel AWAKENING, apparently starts production in 14 months. If I had a choice of Directors for my Scifi BLACK ANGELS, Ridley Scott would be on the list. However, there’s a growing list of great Directors suited for my proposed film/pitch. 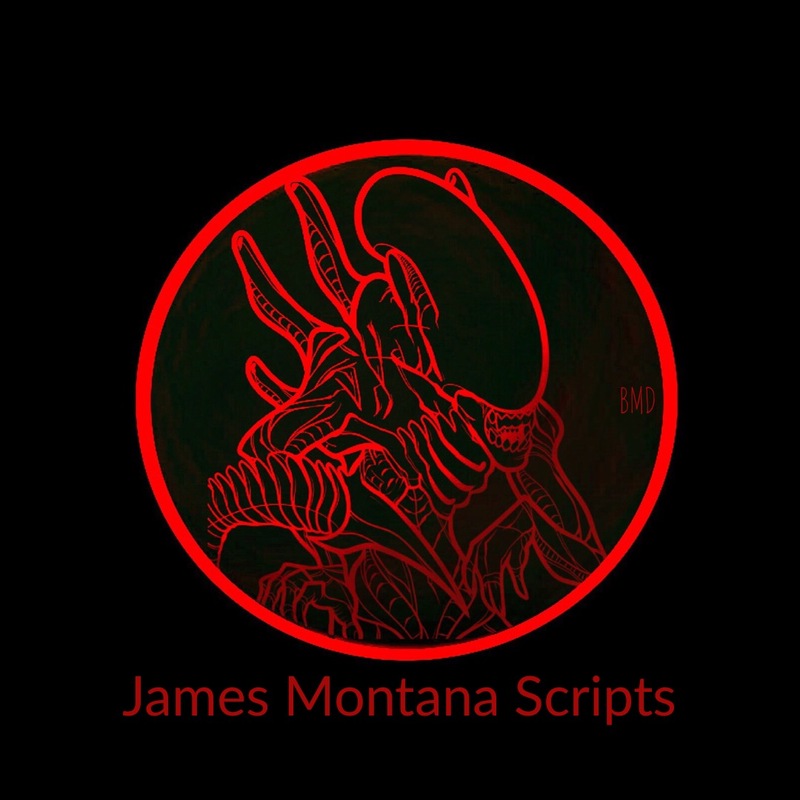 Bari Demers – screenwriter Read more of my stories and articlesEASTEREGGS*- Here are some neat (yup I used the word neat…sorry) little eastereggs you’ll find throughout the ALIEN TRILOGY.